"Sacrilege" may be the word. 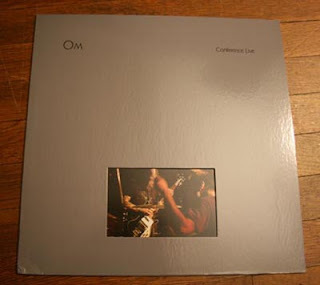 It's possible I find the idea of the new version of Om, drummer Chris Hakius no longer part of the equation, recording a live rendition of the mighty Conference of the Birds a little unsettling. I picked up Live Conference a couple days ago while scouring A.K.A. for a few birthday selections, unaware that new drummer, Grails transplant Emil Amos, was tapped for the performance. 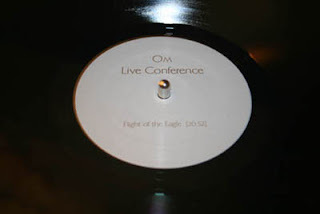 Live Conference, like its studio ancestor, is a two-song LP. Recorded live in September of 2008, Important Records unleashed this behemoth in late July and, as soon as I became aware of it, it was something I wanted to check out. Conference of the Birds is an album I swear by, a smoked out masterpiece of sonic sludge that I live in whenever it’s playing. Al Cisneros sounds great, his flattened prayers tuneless against the wall of energized bass amp behind him. 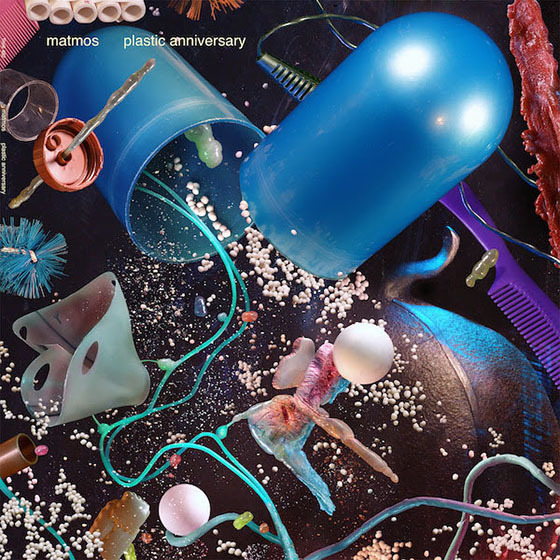 Despite Amos being more of an articulating drummer, (meaning that, at points, he'll try and do too much at the expense of whatever's going on around him), he doesn't interfere too noticeably with the music. "At Giza" is a bit hurried. 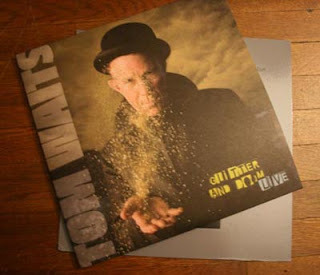 It isn’t much of a stretch to expect great things from Tom Waits. His Glitter And Doom Live album is comprised of selected live recordings made over the course of his very publicized tour of the same name and is basically a chance for those of us that didn’t get to the show, (I got to see the Orphans tour), to hear what we missed. The album is also confirmation of the man as an amazing onstage presence and communicates his devotion to the audience. Glitter And Doom Live sounds exquisite, ably capturing the music in all its fractured and rugged persona, Waits the gravelly poet pushing syllables out with his meat grinder of a throat. There’s a quality to his music’s nuance, the slam and twist of “Lucinda/Ain’t Goin’ Down to the Well” and the excitable energy of “Goin’ Out West,” even his squealing narration of “Circus,” that one can only experience in a live setting. Thankfully, the album expresses as much. Any subsequent tour Waits has in the future, should be followed by a live album this good.